Last year, my goal was to read one book per month. As you know, I accomplished that goal and could not be more proud of myself for sticking with it. It really helped me relax and well, preserve my sanity, whenever things got crazy with work, training, friends life in general. Back in August, I gave a quick recap of some of the top reads I devoured through the summer months. Now, I don’t think it’s quite fair to show those books the love without spreading it around to all of the great titles I read this year. Not to brag, but I picked some seriously awesome reads. In fact, I don’t regret a single one. So let’s take a look back and I’ll give you the quick 4-1-1 on each, mmk? If I don’t post a quick synopsis here, you can find it in the last post mentioned above. For more of my book recommendations, check out my Pinterest page. January 2012: Unbroken by Laura Hillenbrand. I started reading this in 2011, but didn’t finish the beast until the new year, so I counted it as the first month. What a great novel. Set in World War II, it tells the story of Louis Zamperini and his struggles as a runner, a lieutenant in the Air Force and someone hoping to survive a horrific crash. It’s all about resilience and strength, and despite it’s length, Hillenbrand kept me enraptured with every page. February 2012: The Night Circus by Erin Morgenstern. At first, I wasn’t sure this plot line was going to work for me: a circus that only comes out at night, and two magicians who are fighting against each other to the death end up falling in love. First, the whole magicians thing isn’t usually for me. Second, it all sounded a little cliché. Boy oh boy, was I wrong. Morgenstern does a great job of weaving characters together and made me root for both of the magicians, no matter how the ending turned out. And the fact that it all happened at night? Well, that just made it cool. You know how things always seem to take on a new life at night – scary or intriguing, most of the time? That’s what happened with this book. 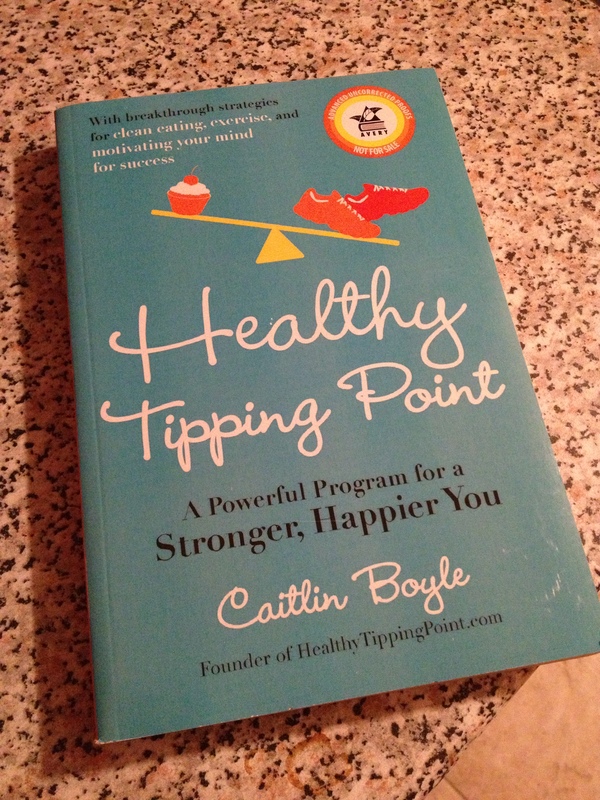 April 2012: Healthy Tipping Point by Caitlin Boyle. I got to read this before the release date for work and I’m so glad I did. I’m a regular reader of Caitlin’s blog and love how her voice transferred over effortlessly to her second book. The success stories sprinkled in with Boyle’s down-to-earth narrative and advice made it a page-turner, and makes you seriously think about making changes in your life for the better. August 2012: Gone Girl by Gillian Fly. An amazing page-turner that is extremely well-written. It took me a while to get into this book because I felt that the main character, Nick, was weak and not taking any responsibility for his failing marriage. But part two hit me like a ton of bricks and I was instantly sucked in. This novel is all about how things aren’t always as they appear, and no matter what source you go to, there’s always another side of the story. You’ll want to read this just for the mind warp. September 2012: Something Borrowed by Emily Giffin. Clearly I went on a Giffin kick this year. I love this movie, but never got around to reading the book first. So I had Ginnifer Goodwin and Kate Hudson stuck in my head the whole time, but those aren’t necessarily bad things, right? Anyway, this beach read follows the story of Darcy and Rachel, two best friends living in NYC – Darcy is the overpowering, beautiful blonde who always gets what she wants handed to her, and Rachel is the quiet do-gooder who always has Darcy’s back, despite Darcy frequently taking things from her. Before you know it, Rachel is in bed with Darcy’s fiance. Obviously drama ensues, but the best part of this book is the fact that I was rooting for Rachel the entire time. Based on her actions, you should want to hate her, but I was cheering for this girl’s happy ending. 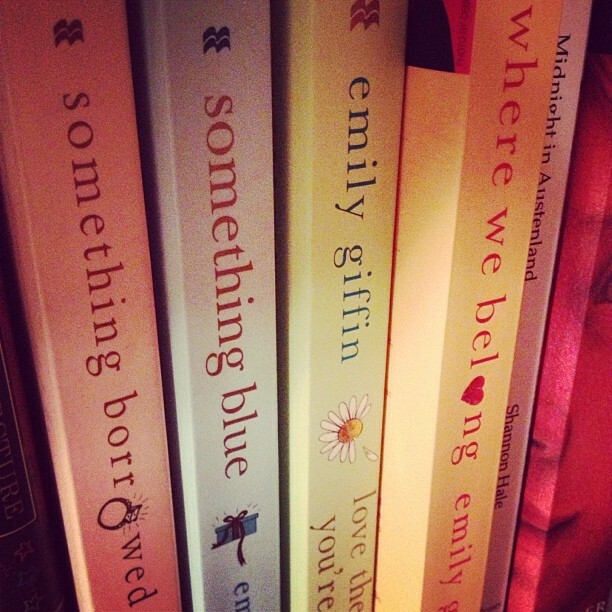 October 2012: Something Blue by Emily Giffin. The sequel to Something Borrowed is almost as good as the first one. Instead of the story being told from Rachel’s perspective, we shift vantage points and hear about what happened from Darcy. And then we watch the story unfold when she finds out about Rachel and fiance Dex shacking up and she flees to London. It was definitely smart of Giffin to write the sequel from this point of view – I managed to develop some empathy for the little blonde girl who’s finally starting to realize life isn’t handed to you on a silver platter. November 2012: Silver Linings Playbook by Matthew Quick. Libby finished reading this in two days and immediately passed it off to me, saying the movie was coming out around Thanksgiving (FYI – if you’ve seen the movie, the book is way better. But the movie was good). The main character, Pat, believes that life plays out like a movie and that every situation has a silver lining. Heart-warming, right? Things get interesting when you find out he’s just been released from a mental institution after having a nervous breakdown because he caught his wife cheating on him. Ouch. Then you meet Tiffany, another girl who needs help because her husband died unexpectedly. We watch their stories intertwine with one another, while they fight with each other and their families, all while just trying to figure out their own silver linings…together. Aww. It might sound cheesy, but just read it. I promise it’s good. 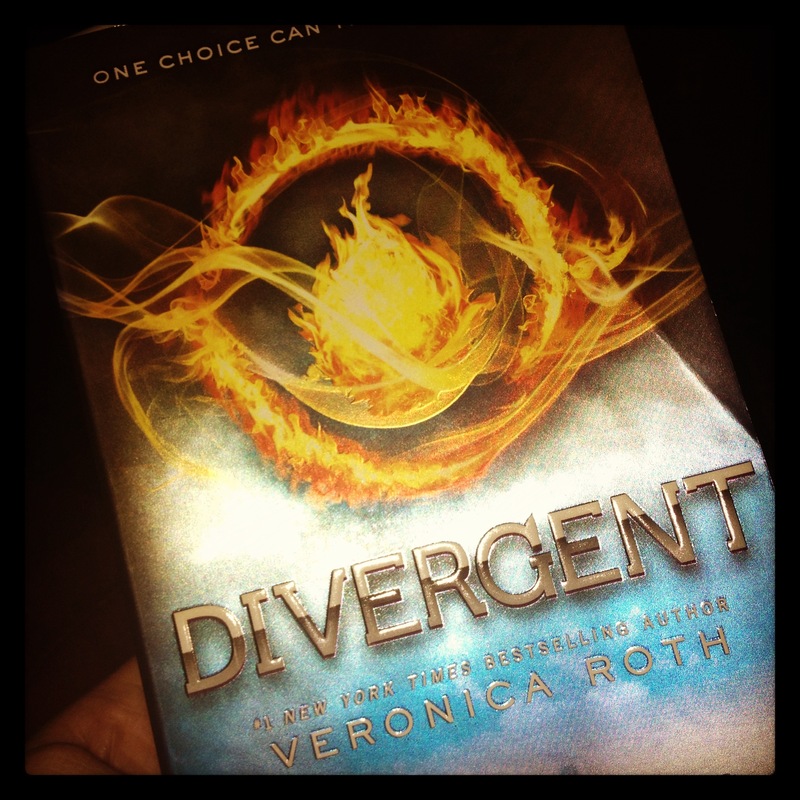 December 2012: Divergent by Veronica Roth. HOLY CRAP, this book is amazing. Seriously, I’m as obsessed with this series as I was with The Hunger Games. So if you liked that series and haven’t read this one yet, I strongly encourage you to go pick it up immediately at your nearest bookstore or download it to your Kindle. I’m a huge fan of dystopians packed with action, drama and romance, and this book delivers in all three areas. Roth is only 24 and has managed to create a brilliant world filled with conflict that cuts straight to everyone’s soul. I can’t give many details because it will give away the story, but just trust me on this one. Pick it up, and thank me later when you’ve finished it in two days. That’s what happened to me. Insurgent by Veronica Roth – the sequel to Divergent. Duh. I cannot wait for the third book to come out this fall, or for the first movie release in 2014. Baby Proof by Emily Giffin. I forced myself to break from the dystopians for a few weeks since I was starting to have some seriously messed up dreams, ha. And you can’t go wrong with a Giffin novel. That girl knows how to deliver a light-hearted read that still touches on important life choices. I have a few others up my sleeve (back to dystopians with Gretchen Powell’s Terra – so excited! ), but am anxious for recommendations. Tell me, what book have you recently read that is an absolute pick-it-up-right-now-or-you’ll-regret-it-forever kind of story? Posted on January 28, 2013, in Books, Entertainment, Uncategorized and tagged 12 for 12, books, good reads. Bookmark the permalink. Leave a comment.